Update: This is one of the most popular posts on this blog. Several people have asked questions in the comments. I do not check on this blog that often. If you have a question, please e-mail me using the contact form. Traditional characters. The most popular reason I've heard for studying Chinese in Taiwan is to learn traditional Chinese characters. In China, the government mandates the use of simplified characters. For anyone interested in pursuing higher-level research into Chinese history or just getting deeper into the culture, knowing traditional characters is a must. They're also more fun to learn, because you'll gain a better understanding of the history of the characters. Traditional Chinese Culture. Artists, scholars, craftsmen, monks and many other intellectuals fled to Taiwan around 1949 to escape the rise of communism in China. The best pieces of the art collection in Beijing's Forbidden City were shipped to Taiwan and are now displayed at the National Palace Museum. Simon, one of my English friends, put it best when he said, "If you could wrap up Chinese culture and ship it somewhere else, that's basically what happened in Taiwan." In China, culture was stamped out by Mao Zedong during the Cultural Revolution and the Chinese government still restricts freedom of expression and religion. Very often, I found temples in China to be reconstructions of ancient temples that were destroyed, and were just tourist traps, rather than places of worship. Idioms. Chinese language in Taiwan is often enlivened with colorful phrases. An English friend of mine who works as a translator told me about newspapers in Taiwan and China, saying that she found Taiwanese newspapers to be more literate and creative, while Chinese papers were very dry and straightforward. The use of idioms is what made the difference. A Chinese teacher I knew in Shanghai told me sometimes she can't understand what Taiwanese are saying, because they use so many "special phrases." For example, "you can't eat it like rice" (mei fan chi) is said to comment on something that's not practical, that won't let you make a lot of money. One of my Taiwanese friends, who wanted to study English literature, said her parents told her this all the time. Scholarships. Taiwan offers bigger scholarships for foreigners to study Chinese, compared to China. If you apply from abroad, you can get a Taiwan scholarship with a stipend of about US$770 (NT$25,000) a month. China scholarships only give about US$110 (800 RMB) a month. Getting paid to study a language while living abroad, now that's a sweet deal! Less Culture Shock. Taiwan is a softer landing for people moving to Asia for the first time. Taiwan has deep links to America and Japan, so it feels more comfortable. You can find more of the same stores and products that you would see back home. Many Taiwanese have studied abroad and traveled. This is a huge benefit! As a result, Taiwanese have a broader world-view and are easier to talk to compared to mainland Chinese. Overall, Taiwanese are also much friendlier and more hospitable. Taiwan is a democracy. Taiwanese freely criticize their government and talk about politics, which would be impossible in China. The press is free and you can access anything on the Internet you like. Whenever Western students visited from China, they were overjoyed to be able to get Facebook again. China's Internet is censored by the government. Confusing romanization. Taiwan uses several systems for spelling Chinese words in English. This causes endless confusion for expats, because the same word can be spelled a million different ways. For example, Zhongshan District could also be spelled as Chungshan or Jhongshan. Bopumofo. This is a completely different set of characters that are used to teach Chinese to foreigners and young Taiwanese students. It's only used in Taiwan. Anyone who studies Chinese in Taiwan is usually forced to learn it before getting into Chinese characters. Many foreign students complain about having to study it, since it's not used in China or the rest of the world. Too much English! Very often, I try to speak Chinese to Taiwanese, only for them to reply in English. It's easy to fall into an English bubble in Taiwan, by only hanging out with foreigners and Taiwanese who can speak English. This is especially true in Taipei, the capital city. Lack of study materials. Taiwan has far fewer books for foreigners studying Chinese. In China, bookstores have shelf after shelf of textbooks. No HSK. The Hanyu Shuiping Kaoshi is a test created by the Chinese government to evaluate the Mandarin fluency of foreigners. People take it and use their score as a kind of certification of their language ability. The HSK is not administered in Taiwan, so a person will have to fly to Hong Kong to take the test. Being in a backwater. China is really where the action is, so while in Taiwan you might feel cut off from the excitement. Taiwanese news is notoriously boring, because nothing important happens in Taiwan. Practice. In China, English is spoken far less than in Taiwan, so I was forced to learn Chinese and use it every day. At my job in Shanghai, my Chinese colleagues spoke very little English, so I ended up trying to learn more of the language so I could communicate with them. Pretty soon, I was able to ask them if the Internet was broken or tell them the photocopier was out of paper. At my first job in Taipei, all my Taiwanese colleagues had either worked or studied abroad, so they all could speak English really well. English is a part of the education curriculum in Taiwan and it's popular to study at English cram schools in the evenings, so even Taiwanese who've never been abroad can speak English surprisingly well. One of my Western friends studied Chinese in Singapore, which turned out to be a missed opportunity. English is widely spoken there, so it's extremely easy to be lazy and not study Chinese. By the end of his term, his Chinese was nonexistent. What's worse, he said his English actually got worse, because Singaporeans often speak a pidgin English called Singlish. After a year in China, I was able to order food in a restaurant, give directions to a taxi driver and handle my travel reservations. My crowning achievement was when I was able to order a pizza over the phone, speaking completely in Chinese. I told the clerk what kind of pizza I wanted, the size of the pizza and my exact address. Elizabeth, my English flatmate who was a Chinese major, overheard my phone call. When I hung up, she said, "Good work!" Hanyu pinyin. In China, it's the standard for spelling Chinese words in English. Once someone learns pinyin, they can read and pronounce any Chinese word relatively accurately, even if they haven't learned Chinese characters. Cost of living. Although prices are rising with its surging economy, China is still a cheap place to live. If you decide to live somewhere other than Beijing or Shanghai, it gets much cheaper. I actually recommend living in a 2nd-tier city, as they're often less crowded, cleaner and force you talk to locals more. My suggestions: Qingdao, Kunming, Xiamen, Chengdu, Hangzhou, Dalian, Nanjing, Xi'an. They are also certain small towns with beautiful scenery and lots of foreign backpackers, if you're looking for that atmosphere: Dali, Lijiang and Yangshuo. Be warned, these three places are very touristy. Yangshuo is particularly good for picking up casual English-teaching work. Some schools there even offer "cultural exchange" programs, where you'll be given free accommodation and Chinese classes for teaching a little bit of English. For the latest word from expats on the ground, check Chinese Forums.com. Career advancement. Having experience in China will look better on your resume. There are also many more multinational companies in China offering professional jobs. Better for networking as well, since many expats in China have interesting jobs. In Taiwan, there's only teaching English. Simplified characters. Some of the Chinese government's changes to the characters seem random and make them difficult to study. While traditional Chinese characters are harder to learn initially, they're often based on pictures of things, so they offer clues to meaning and pronunciation. Dialect and accent. I drove myself crazy trying to find a place in China where Mandarin was spoken clearly, like how my teacher pronounced things. The general rule is to try to study in northeastern China, particularly Beijing. But Beijing has a really harsh accent, where they add an "argh" sound to the end of every word. Supposedly, people in Harbin have the most standard accent, but I've heard that Harbin is like a frozen wasteland, so I'd never study there. Whatever the case, stay away from Guangdong Province in the southeast and Hong Kong, since Cantonese is the major dialect in those places, not Mandarin. 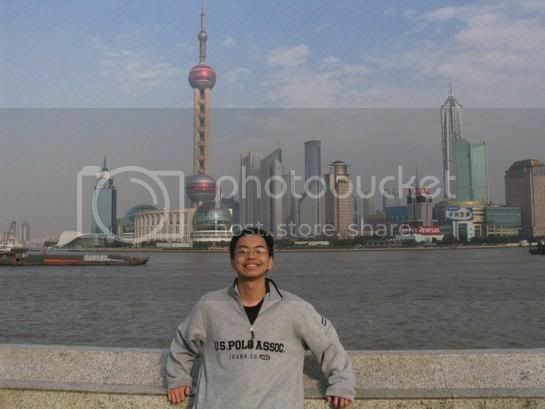 Even Shanghai wasn't good sometimes, since I always heard Shanghainese dialect on the streets. For a while, I thought I wasn't studying properly because nothing made sense. Then I visited Beijing and understood twice as much as I did in Shanghai. For what it's worth, I think people in Kunming have the clearest accent. My theory is that a lot of the population in Yunnan Province are not Han Chinese, they're minorities. I think they might study Mandarin as a second language, so they have audio-textbook pronunciation. No Facebook, no YouTube and no blogging. No deal! Quality of life. While China is moving forward by leaps and bounds, it is still very much a developing country. It's easy to build office towers and transportation networks, but it takes longer for the people to become more modern. This is changing as disposable income rises, people move to big cities and more Chinese travel abroad. Levels of pollution are the highest in the world, there's no democracy and the media is censored. For Westerners, these can be deal-breakers. People's personal habits can be hard to get used to: spitting on the street, littering, smoking, little kids pooping on the sidewalk, are all daily occurrences. State-censored media also limits people's knowledge of the world outside China, making it harder to have deep conversations. Then again, there was a time when the Chinese were eating with sanitary chopsticks while Europeans were eating out of bowls using unwashed hands. Who's to say who is civilized? Given enough time, it'll get better, but it can be rough right now. I'm big on convenient commutes, so it's worth noting that some Taipei universities are within the city, while the Chinese universities I've listed are usually not in the city center. As for which city to study in, I'd say to go to the city you eventually plan to work in for the longer term. If you're into politics and international relations, go to Beijing. Shanghai is the place for business. If you want more Westernized comforts and are just planning to work back in the West after your Chinese studies, go to Taipei. If you really want to dive into traditional Chinese culture, go to Tainan and study at National Cheng Kung University. Tainan City is the oldest Chinese settlement in Taiwan, has the most devoted religious population and is home to over 200 active temples. The only downside is that you might hear more Taiwanese dialect than Mandarin. National Taiwan Normal University--The most popular school in Taiwan for foreigners to study Mandarin. It's in a lively student area with clubs, bars and a big night market. National Taiwan University CLD--NTU is the most prestigious university in Taiwan, so the program tends to attract more serious students. NTU is in Gongguan, a great student area with lots of restaurants and things to do. National Taiwan University ICLP--This is an extremely challenging program for advanced students of Chinese. Back in the days when China was closed to foreigners, the U.S. government would send their diplomats to study Chinese in this program. It used to be the base for the prestigious Stanford Center for Chinese Studies, before it moved to Tsinghua University in Beijing. National Chengchi University--The second most prestigious university in Taiwan after NTU. I've heard their Mandarin program is really good. But the location is out of the way in Muzha. It's near scenic mountains, so consider it if you're a nature lover. Chinese Culture University--I thought CCU had the most modern facilities of the Taiwanese universities I've visited. I've heard they move slower, covering a textbook in 9 months, instead of 6 months at the other universities. CCU also starts new classes every month, which is very convenient. They give off the impression of being more as a customer-friendly business, rather than an anti-service bureaucracy. The main CCU campus is in Yangmingshan National Park, but the Chinese classes are in downtown Taipei at a satellite campus. Beijing Language and Culture University--The main school for foreigners studying Mandarin in Beijing. I've heard that too many Westerners are there, and it's easy to avoid speaking Chinese. The same has been said of NTNU in Taipei. Peking University--Considered the most prestigious university in China, it's more well-known for its humanities departments. Tsinghua University--The Stanford Center at Tsinghua University is supposed to be one of the premier institutions for studying Mandarin. Here's the link to Tsinghua's normal programs. Tsinghua is highly regarded for its science and engineering departments. It's the Stanford to Beijing University's Harvard. Beijing Normal University--Other universities like Beijing University and Tsinghua are in Wudaokou, a student area up north of the city. One big advantage of BNU is that it's right in downtown Beijing. East China Normal University--This is considered the best school for foreigners to study Mandarin in Shanghai. 'Normal' in China means the university is focused on training teachers. Jiaotong University--This university has a very convenient location in Shanghai's Xujiahui District, a major shopping area. Jiaotong is also the second most prestigious university in Shanghai, after Fudan University. I think Jiaotong would be a softer landing, since they put Western students into separate classes at the beginner level. In other Chinese universities, you'll be trying to catch up with the Korean and Japanese students, who learn Chinese characters blazingly fast. Shanghai Normal University--I thought SNU had the nicest classrooms of the Shanghai universities I visited. Many of the Chinese teachers I've known in Shanghai were also SNU students, including my Chinese teacher, who I thought was very professional. Donghua University--I was actually going to study here if I had stayed in Shanghai. It was close to my apartment and it was the only university that offered Chinese classes at night. From what I've heard from one of my Chinese teachers, it's also well-managed. She said that the university only gives one class per teacher, so she can really concentrate on her students. Other universities will give a teacher as many classes as she can take. It's near West Yan'an Rd. station on the light rail. Donghua is also famous as a fashion and modeling school, which translates into lots of pretty students on campus. Not that it was a major consideration for me . . .
For more comparisons, check out these discussion threads on Chinese Forums and Forumosa. nice share here. i do have thoughts of furthering in mandarin in either countries. I'm thinking about summer course somewhere in either Mainland China or Taiwan! I've learned both Traditional and Simplified characters. Also, I know both Pinyin and Bopomofo. So, there won't be problems in this aspect. My object is to improve my speech fluency! Do you have any recommended place that the locals speak clear Mandarin? PS: Since all my teachers are southerners, I'm not familiar with erhua or qingyin at all! @Suddhakara: Thanks for your comment. Like I wrote above, I thought people in Kunming had the clearest accent. But everyone says Northeast China ("dongbei" 東北) has the standard accent. I've heard Qingdao is a fun city to spend some time studying. Never been myself, though. Yangshuo would be fun, but might have too many backpackers speaking English. great info site...do you have any suggestions for which place in Taiwan or Mainland is good for advanced chinese? Any place that's good for developing professional chinese writing skills for work or university studies? 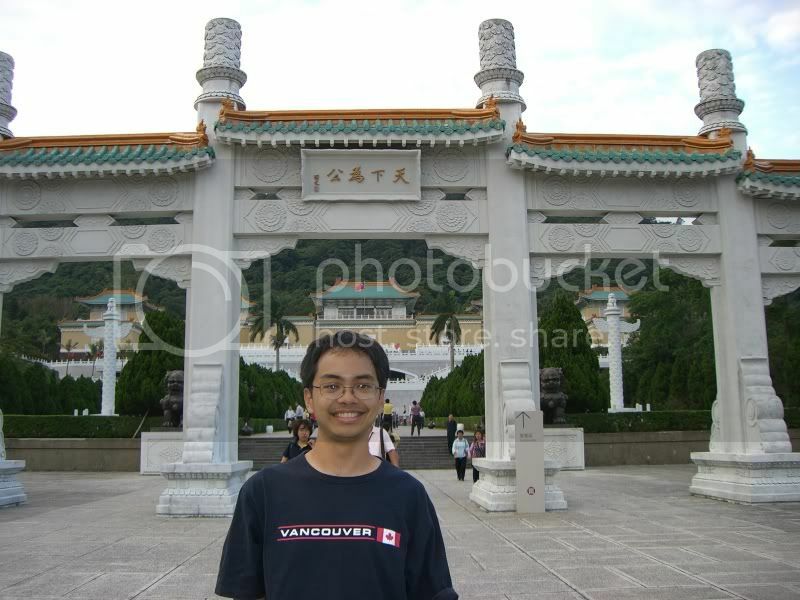 I randomly found your website and tq for a clearer picture about China and Taiwan. For someone who has been studying Simplified Chinese from US for 3 years, will she/he able to adapt Chinese easily in Taiwan? If you're studied one Chinese writing system, you can transition to the other. Traditional Chinese characters are a lot more complex than simplified, so there will be a bit of a learning curve. It might be a bit hard at first, but you should be okay. I don't check the comments often. So if you have any questions in the future, just send me a question using the form on my Contact page. Do you know where you can save the most money teaching between Shanghai and Kaohsiung? so what do you recommend China or Taiwan? how to learn Chinese Why learn Chinese language? Is Chinese easy to learn? How to learn Chinese pronunciation and Chinese characters? What is a professional online teacher? Taiwan Times Vol. 5 -- Back to Teaching English? !